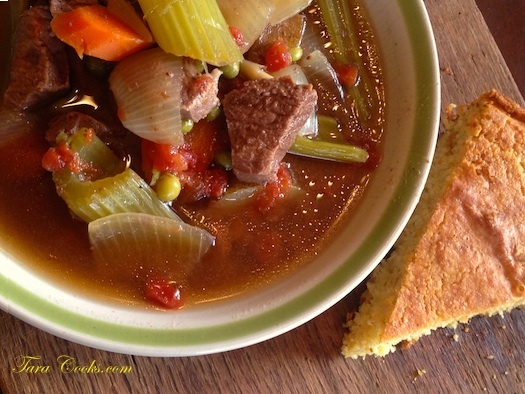 With the single digit temps here in the south, there is no better time to whip up some home made beef stew and cornbread. I put all the ingredients in my Dutch oven and cooked it a couple of hours at 350 in my oven while I was away one morning recently. This could also be an easy crock pot meal too. And it is delicious! Place all ingredients into a large Dutch oven or crock pot. Place Dutch oven in a 350 degree oven for 2-2 1/2 hours or until meat is tender. If cooking in a crock pot, cook on low overnight or all day. Serve with cornbread.